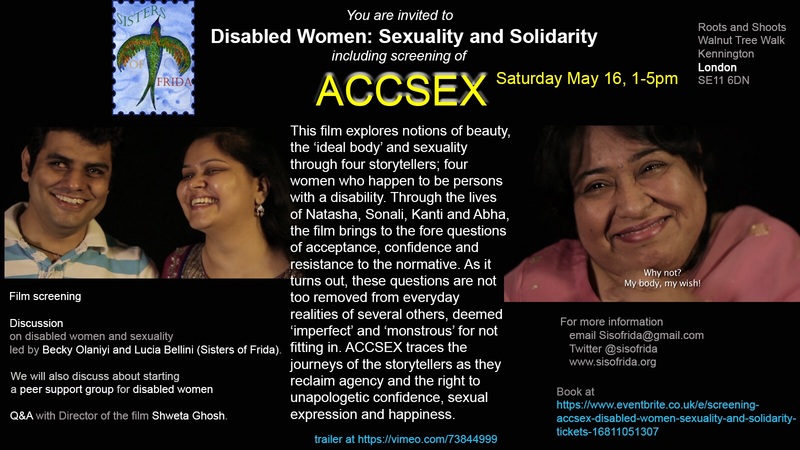 Screening AccSex: Disabled Women Sexuality and Solidarity 16 Saturday 1 pm. 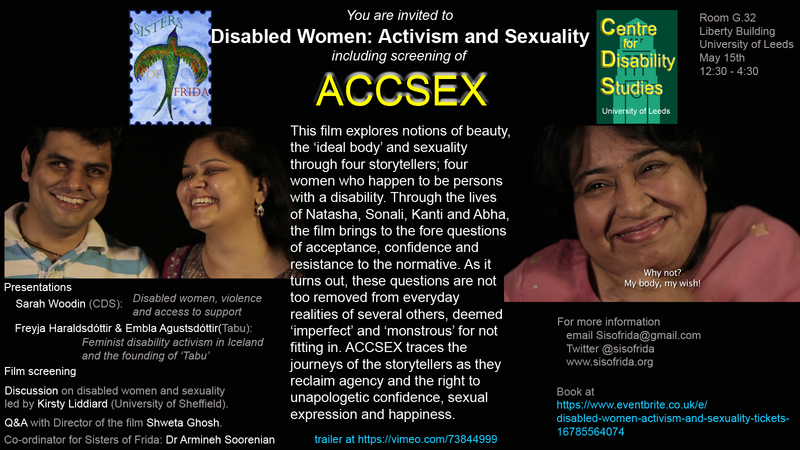 Please register at https://www.eventbrite.co.uk/e/screening-accsex-disabled-women-sexuality-and-solidarity-tickets-16811051307 Details are on the eventbrite. We ‘ re also very pleased that Laki Kaur will be joining us and co chairing the discussion with Becky. 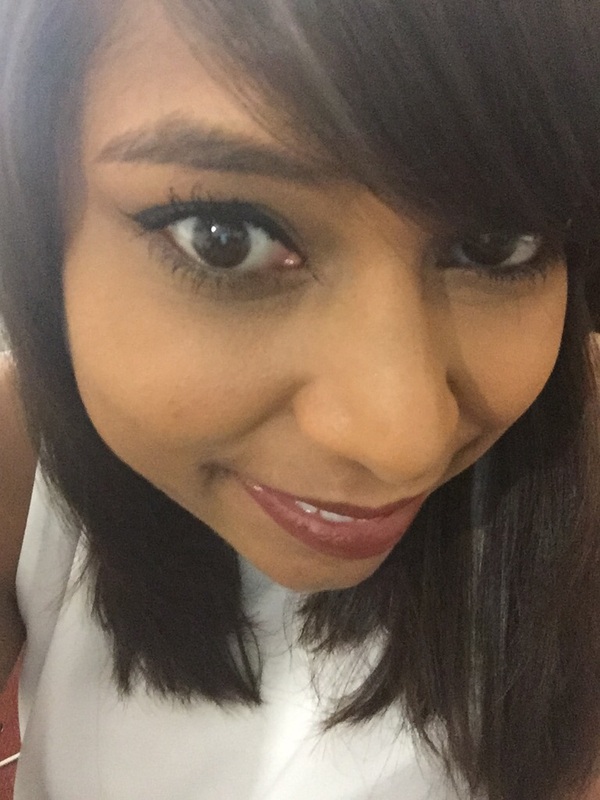 Laki is a 25 year old disabled woman , she describes herself as ‘outspoken, positive and love to try new things who loves traveling ‘. She works as a receptionist and loves her job. Within stifling dichotomies of normal and abnormal, lie millions of women, negotiating with their identities. Accsex explores notions of beauty, the ‘ideal body’ and sexuality through four storytellers; four women who happen to be persons with disability. Through the lives of Natasha, Sonali, Kanti and Abha, this film brings to fore questions of acceptance, confidence and resistance to the normative. As it turns out, these questions are not too removed from everyday realities of several others, deemed ‘imperfect’ and ‘monstrous’ for not fitting in.Accsex traces the journey of the storytellers as they reclaim agency and the right to unapologetic confidence, sexual expression and happiness. The experience of minority genders with disability largely reflects double discrimination. In the Indian context, identities and stories are further layered by virtue of diversities in caste, class, ethnic and religious backgrounds. The issues of persons with disabilities are often seen through a welfare approach in laws, programmes and policies. A similar charity-tinted lens is employed by educational books and media texts and a basic reading of these shows how the mildest physical and psycho-social disabilities are viewed as ‘abnormal’. Accsex has won a number of awards and been part of several festival selections. It has also been used as a strong advocacy and educational material by activists in the field of disability and gender rights. It has been incorporated into the CREA Disability and Sexuality Rights online institute in 2015. Shweta Ghosh is a documentary filmmaker and researcher. A silver medalist from the School of Media and Cultural Studies, Tata Institute of Social Sciences (SMCS, TISS), Mumbai, she has explored her interest in disability, cuisine, travel and music through research and film projects. Shweta’s debut documentary Accsex, a film exploring notions of beauty, body, sexuality and disability was awarded Special Mention at the 61st Indian National Film Awards 2014 and has been screened across India and abroad. The film has been appreciated for its rights-based approach to disability and sexuality and has been used widely as advocacy and training material by NGOs and academic institutions. Lucia Bellini works for StaySafe East to tackle violence and abuse against disabled and Deaf people. She spoke for disabled women at Million Women Rise at Trafalgar Square this year. Becki Olaniyi is a young disabled women. She was on a panel on disability, race and gender at the WOW Festival at the South Bank this year. We will also be discussing setting up a disabled women group on sexuality, relationships and intimacy. This event is a women only event intended as a safe space for women to discuss sexuality and disability issues.